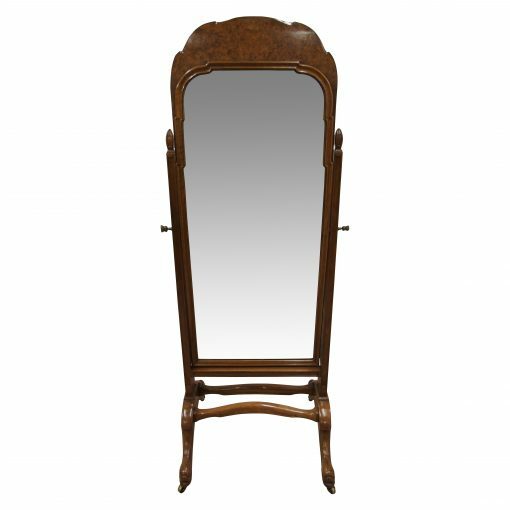 Circa 1910, walnut and burr walnut cheval mirror made by Whytock & Reid of Edinburgh from a design by Sir Robert Lorimer. 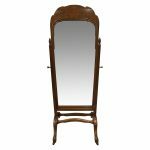 The mirror has a walnut frame with a burr walnut pediment and behind the frame to the top of the mirror is a shaped burr walnut panel. Inside of this sits a bevelled edge mirror, which has been shaped to follow the proud form of the frame. 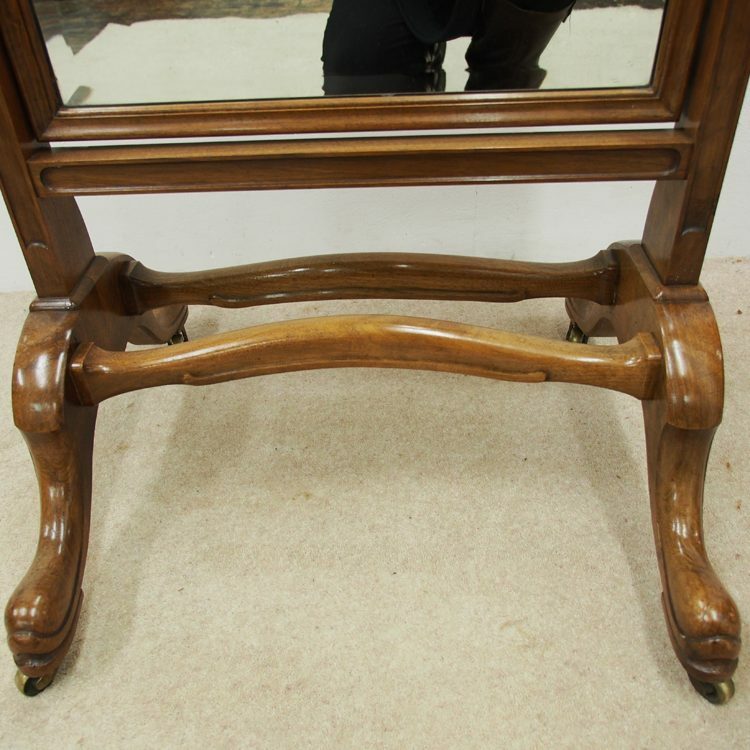 The mirror is held in place by 2 tapering walnut uprights, with carved finials at the top and scooped section in the centre. The mirror is suspended by 2 brass clips in the form of thistles. 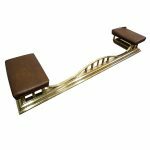 At the bottom of the mirror there is a crossover stretcher which is the same pattern as the uprights, with a further 2 curved and shaped stretchers below this. These have a raised section and a slightly carved area. 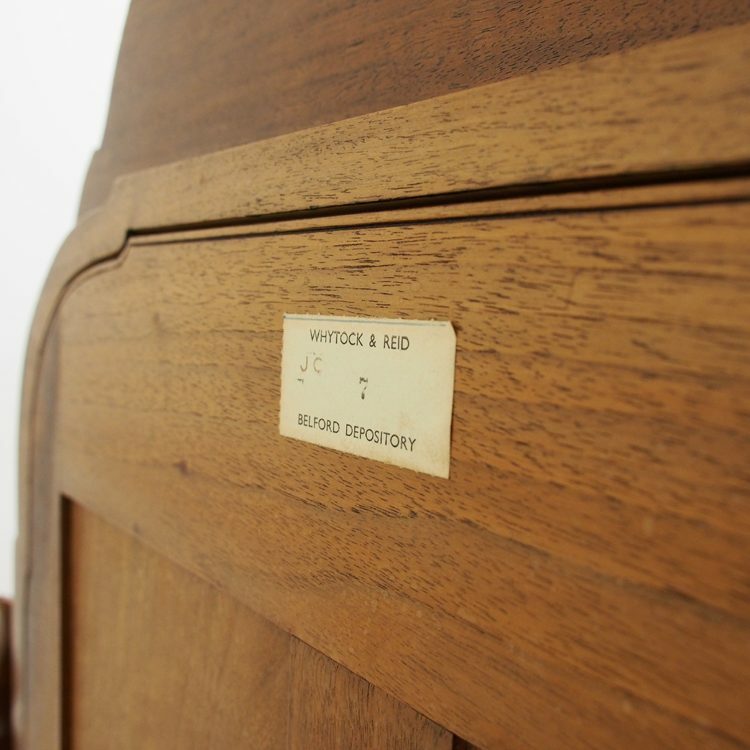 4 elegant cabriole legs protrude from these, and they finish with a pad foot typical of Lorimer. They end on cast brass castors. 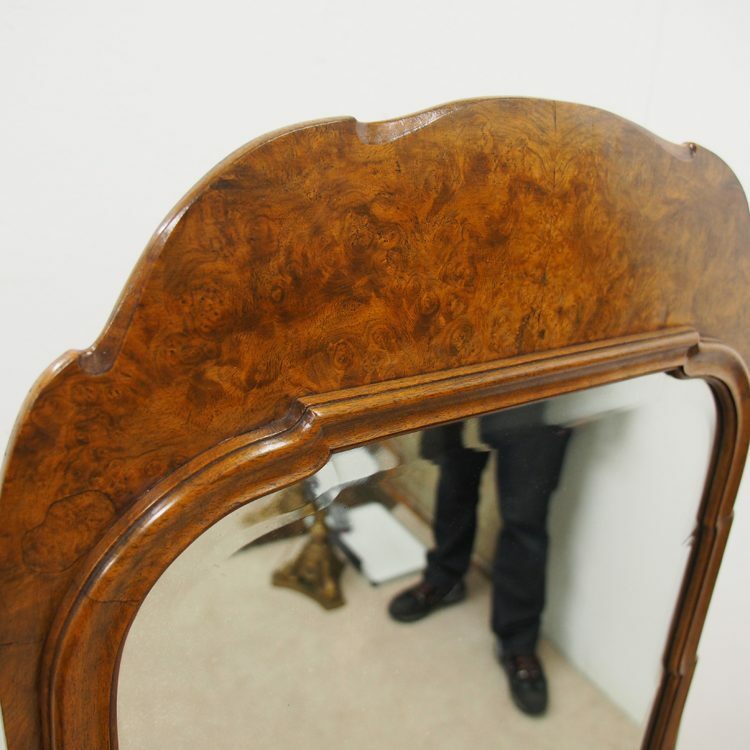 The back of the mirror has fielded panels and is polished which is usually unnecessary with a cheval mirror but shows the quality of Whytock & Reid. 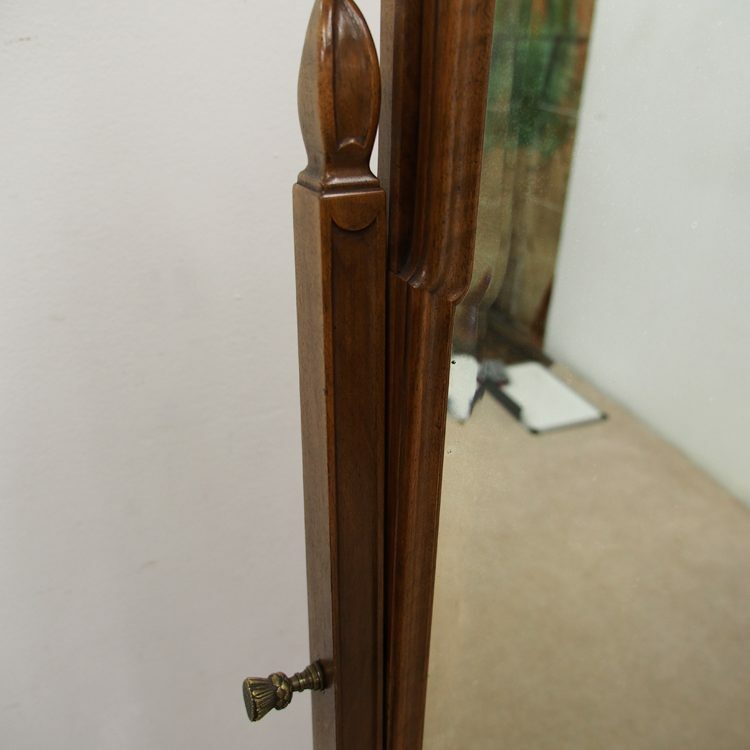 The mirror has excellent colour and condition, and it is very stylish and clean. Size 159 cm high x 56 cm wide x 54 cm deep.